for those who have the hance to go to RAC and have pictures of Swiss drivers, I'm interested! welcome jean-claude to the forum!! 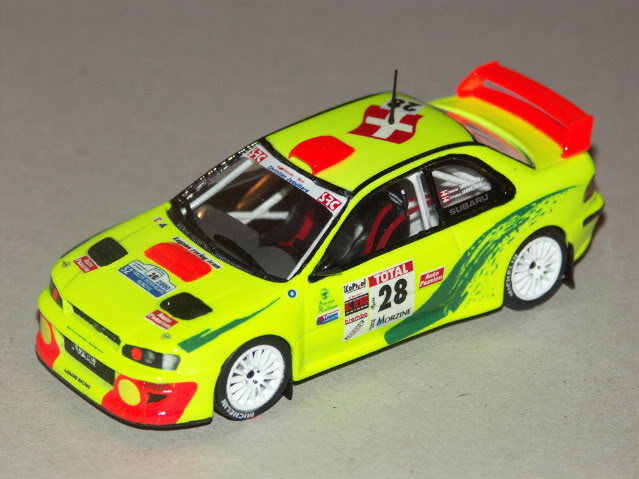 Have you built any subaru models? whaooo thats a bright model! very nice and rare looking! How much do you charge for this model and postage to the UK? That's exactly the cars I was talking about. Have some great videos of that car in action.. Welcome Jean-Claude, that is a fantastic Fiesta. Hope you enjoy the forum.